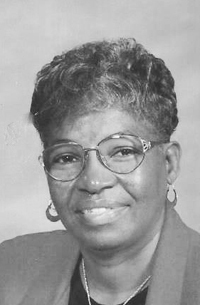 Augustus Funeral Home regrets to announce the passing of Mrs. Florence Louise Ming. A Home Going service for Mrs. Florence Louise Ming, loving wife of the late Eugene Arthur Ming, daughter of the late Ashton Robinson and the late Uliah Saunders, mother of Eugene [Fella] Ming [Cheryl], Harlean Saunders-Fox [Keith], Pamela Daniels, and Jeanie Ming Terry [Joseph], sister to Perry, John [Roseann], Robert [Beverly], Edward [Butch] [Brenda], Dennis, Lois [Kiddie] [John-deceased], Verna Bullock [Luscious], Sherna Calder [Eugene-Jack], and Veronica [Ronnie] Zuill in her 81st year of #12 Green Acres , Devonshire will be held at Christ Church, Devonshire Today, August 6, 2018 at 1:00 pm. Lovingly remembered by grandchildren: Alnisha, Zakkiyah, Justin, Jamiko, Corby, Jovial [David], Asim, Khamani, Joliza; great-grandchildren: Jehzayh, Sanaa, Isis, Nahla, Hassan, Jezii, Atlas, Jonathan, Egypt, Haşim, Aries, Elliott, Hanaz; nieces: Laverne, Christie, Marcelle, Makeba, Toye, LaTonya; nephews: Steven, Perry, Dean, Dwayne, Damon, John, Dennis [Baby Dennis], Eugene; Lots of great-nieces and great nephews to numerous to mention; special cousins: Calvin Hendrickson, Roslyn, Isilda, Wayne, Mermagene, Evette, Cheryl, Carlton, Ronald, Carol, Garline [Geraldine]; special friends: Ariel Sands Family, Devonshire Church Family, Manchester Unity Lodge #9387, The Green Acres Family, Betty Cooper, Mrs. Cassidy, Mrs. Burgess, Vera Williams, Laverene Franklin, Gloria Usher and Shirley Wilkinson [USA]. Deceased Family Members: Maternal Grand parents-Mary Seymour-Saunders [grandmother], Joseph Saunders [grandfather], Paternal Grandparents- Florence [Tucker] Robinson and Theodore Robinson, Frank [uncle], Elroy [nephew] and great nephew-Johnnie, Earlston, Winston ,Myrtle [Sinclair] and Sherlyn [cousins]; special thanks to physicians: Dr. Shaina Kelly, Dr. Gail Caruth, Dr. Nevin Williams, Dr. Sharon Alikhani, and the Staff of the Emergency Department, Ace Barber and Catlin-Lindo at King Edward V11 Memorial Hospital of the Bermuda Hospitals Board; Thank you to the special caregivers Nikia, Neka, Yana, LaToya, Kenyae and Angela and TLC Home Care Services.